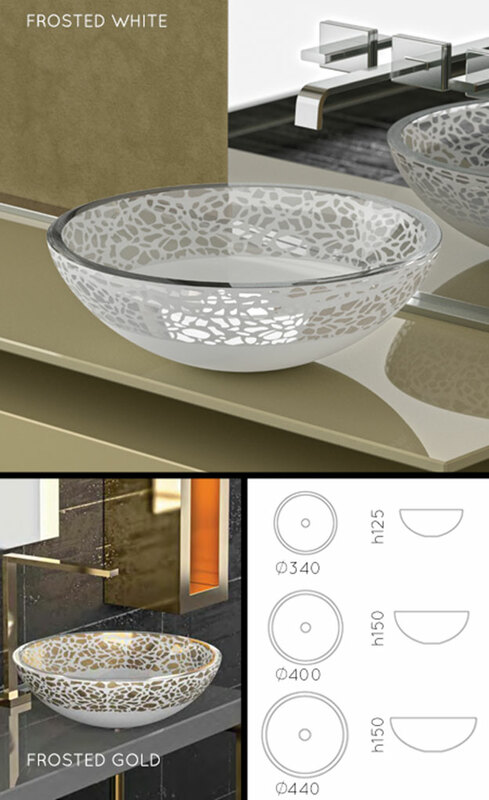 The Petal glass wash basin is a clear glass basin with a exclusive frosted design. Each counter top glass sink is supplied with a choice of frosted white or gold and in three different diameters. All washbasins are made to special order please allow 3 to 4 weeks. Price includes the sink waste. * Available in white & gold finish.